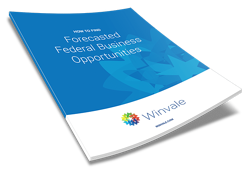 Do You Know How to Find Forecasted Federal Business Opportunities? Successful government contractors don't rely exclusively on bid boards to build out a strong sales pipeline. Instead, they are proactive in seeking out forecasted federal business opportunities. But how do they find them?